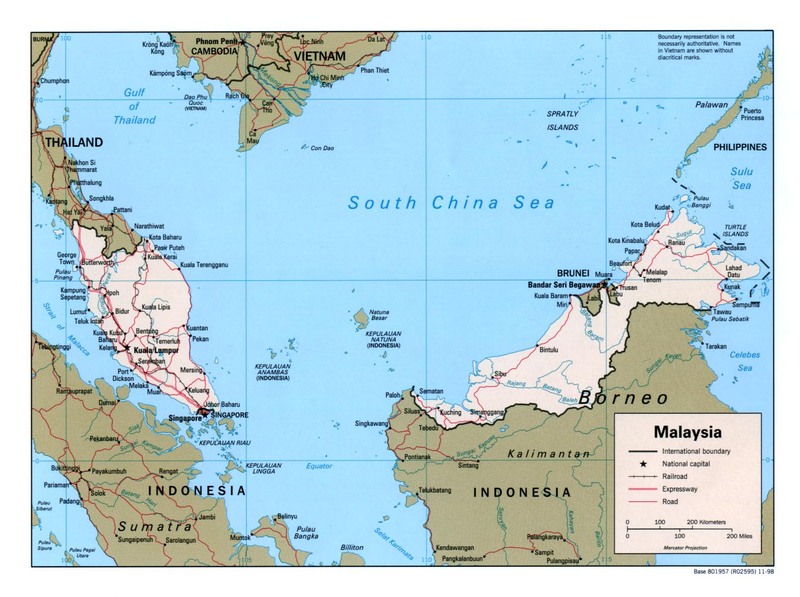 These maps are developed to help you guide your clients about destinations in Malaysia. They can also be used for producing local marketing collateral and presentations. Kedah Darul Aman lies between Perlis in the north and Perak in the south and forms one of the northern states of Peninsular Malaysia. It has an area of 9,425sq km and has a population of more than 1.5 million people. One of the northernmost states in Peninsular Malaysa, Kelantan Darul Naim is a unique travel destination because of its splendid beaches, rich cultural heritage, ornate handicrafts and wood carvings. Kuala Lumpur is the capital as well as the largest city of Malaysia. Kuala Lumpur is commonly referred to as KL. With its range of races and cultures, KL is a kaleidoscope of fascinating sights and sounds. Labuan the main island of the Malaysian Federal Territory of Labuan. Labuans popularity comes from its excellent diving, and military cemetery, containing various war graves and memorials to the fallen of The Second World War. Negeri Sembilan is just about 50km south of Kuala Lumpur. Negeri Sembilan which literally means nine states or districts, has a mainly rural landscape with patches of urban development. Pahang is the largest state in Peninsular Malaysia with an area of 35,960sq km and a coastline of 208km on the east coast. The state lays claim to having Peninsular Malaysia’s longest river, the Sungai Pahang, and its highest peak, the 2,187-metre high Gunung Tahan. Penang, often referred to as the Pearl of the Orient is one of the most picturesque and romantic cities of the East. Located on the north-west coast of Peninsular Malaysia. Penang received its name from the Pinang or Betel Nut tree once commonly found on the island. Covering some 21,000sq km. Perak lies between Kedah in the north and Selangor in the south. The Main Range cuts across the state of Perak lying in dramatic juxtaposition to the flat plains of the western coastline. Perlis is Malaysia’s smallest state with an area of 795sq Km. It is flanked by Thailand in the north and Kedah in the south. Kangar is the capital of Perlis wile Arau, 10km away is the Royal town. Often called the “Land Below The Wind” because it lies below the typhoon belt, Sabah occupies the eastern part of North Borneo and is East Malaysia’s second largest state with an are of 74,500sq km. Situated on the north-western coast of Borneo, the land of hornbills, intricate rivers and pepper beckons the visitor with its rich rainforests and the diverse lifestyles of its indigenous people. blog kkawan. Powered by Blogger.